With 6 CD’s to his credit, Charles Pillow has established himself as one of the premier woodwind instrumentalists and saxophonists of the day. His recordings include “Triocity” 2017 on OriginArts, featuring fellow Eastman faculty Rich Thompson and Jeff Campbell. “van Gogh letters” 2010 on ELCM, featuring fellow Eastman faculty, Gary Versace. “Pictures at an Exhibition” 2001 and “The Planets” 2007, both on Artistshare, and “Currents” from 1996 on Challenge. 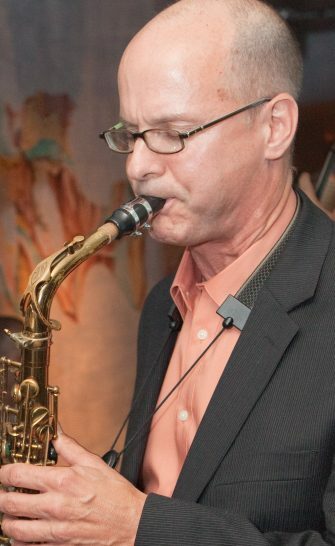 A fluent performer, educator and touring musician, he has appeared on over 100 recordings of jazz and pop artists such as John Scofield, Joe Henderson, Michael Brecker, Tom Harrell, Jay Z, Mariah Carey, Maria Schneider, David Sanborn, David Liebman, and Bob Mintzer. In addition to his teaching at the Eastman school, he gives clinics and masterclasses throughout the US and has appeared at many of the jazz festivals throughout Europe and the US.